With Congress of the People (COPE) president Mosiuoa Lekota in Cape Town for three days of intensive electioneering, the ANC appears to be going all out to lure back former ANC members who have defected to COPE. 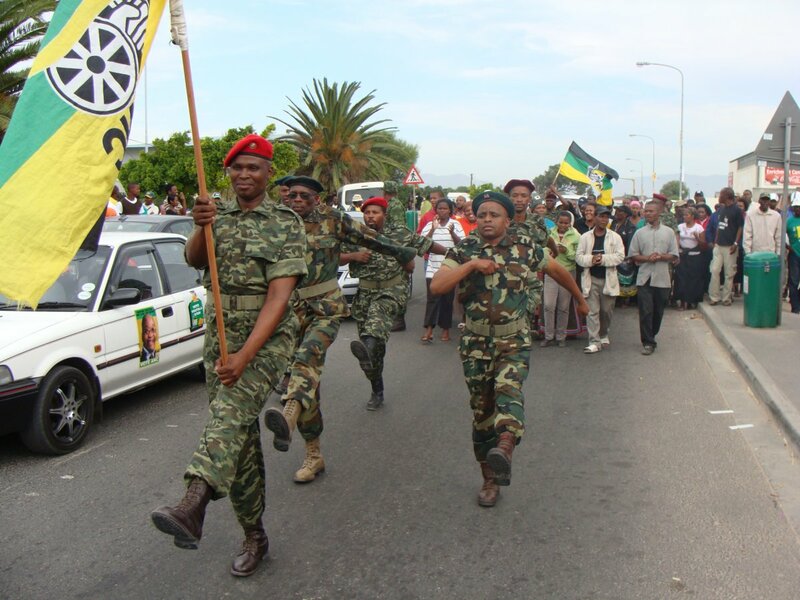 At an event in Samora Machel in Philippi yesterday (16/04/2009) the ANC paraded 15 former ANC members who they said had decided to rejoin the party from COPE. The 15 were given ANC t-shirts in front of a crowd of about 200 people, who gave them a rousing welcome. The ANC has also announced that “hundreds” of COPE members will be returning to the ANC in Paarl. But COPE has hit back, denying that the Philippi 15 were ever members of COPE. The Philippi event was attended by ANC Western Cape chairperson Mcebisi Skwatsha, ANC Youth League deputy president Andile Lungisa and Mkhonto weSizwe Military Veterans Association (MKMVA) member on the ANC’s national executive committee Fumanekile Booi. He said the announcement was an electioneering tactic and accused the ANC of acting out of desperation.